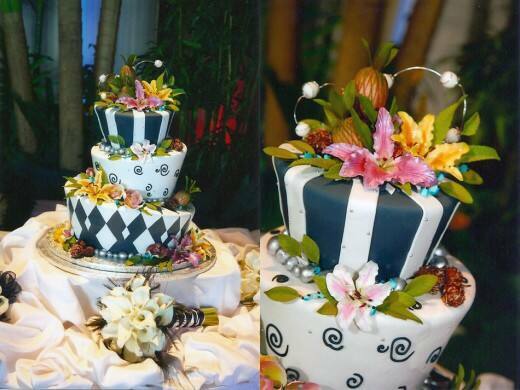 This week's Wedding Cake Wednesday submission came to us from Jenny. She chose to have a hawaiian-inspired dessert that incorporated both blue and silver tones. 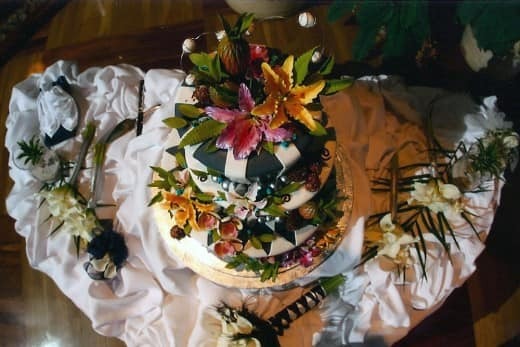 I don't know about you, but I am loving the little hidden pineapples in the cake topper! Want to be featured on an upcoming Wedding Cake Wednesday? Submit your cake to Info@DisneyWeddings.com.